Basketball – Which Final Four, and does it matter? The university will open up Gampel Pavilion on Saturday, April 5, to all UConn students, so that you can watch the televised men’s game live with one another here on campus. The doors will open at 5:00pm. The game will begin shortly after 6:00pm and will be projected onto large screens that will be visible throughout most of Gampel. Sunday’s women’s game will also be shown live on campus in the Student Union Theatre. Doors will open at 8:00pm and the game begins at 8:30pm. not be as large as the audience of the men .. right? Are you sure? The women’s team has commanded a fan base for years that matches or exceeds that of the men’s team. And, if you plan for a smaller audience, are you not creating that reality in advance? Then there is the matter of finding these games on television. For this tournament that problem is a bit simpler because there are only 3 games for each. But still, they are listed on the TV schedule as “College Basketball” and “Women’s College Basketball.” When someone says “I am going to the Final Four” the assumption is that they are going to the men’s tournament. This is more than annoying .. it is symbolic of a lasting disparity that is sustained by the language we use. about the amazing emergence of women’s sports and what it means for so many young women as they are discovering their personal and collective strength and power. 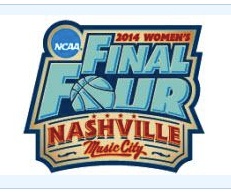 This women’s tournament will be amazing .. there are two undefeated teams in the Tournament – UConn and Notre Dame! One team will walk away with their winning streak broken, but all the young women on all of the teams competing this year have broken amazing barriers by just being there, for developing their athletic skills, and devoting their energies to inspiring other girls and women as their careers have unfolded! So I cheer them all, even though for now I have to close with this … go UConn! This entry was posted in Making change, Social Issues, women's basketball and tagged UConn women's basketball, Women's Final Four. Bookmark the permalink. 4 Responses to Basketball – Which Final Four, and does it matter? So great to hear from you, Joe! Thanks noticing this blog post … we may not live to see the day when the Tatum clan is able to accept this, but lots of things have changed over the years and I am very hopeful for the future!! I am so glad we connected! Exactly! There are situations when gender matters and when it does not. Nurses are not segregated by gender .. all nurses – women and men – are nurses, period. We do not need a gender distinction there. But in sports, men and women are segregated – in most sports now baed on profiles of body size, structure and strength. So we all need to know when sport we are tuning in to at any partiular time .. men or women. I can foresee a day when there will be athletes of both genders on the same teams, particularly at the professional levels, where body stature (height for example) matters more than which gender the body happens to express. But for young college students, the gender divide provides an opportunity for young women to develop athletic skills (beyond just physical abilities to play a game) that would not otherwise be possible. Thanks for adding this dimension to the discussion. Tom!!! We in Gainesville, FL are preparing for the challenge you pose on Saturday. This is 2014 – nursing often seems stuck fighting battles from 1964 while entirely new challenges and opportunities go unnoticed.